7 Awesome Blues Starting Licks to Kickstart Your Blues Solos! When it comes to make a blues solo, it’s very important to have a good start for it, so you can catch the audiences attention at the very beginning. Plus, with a great start it’s more likely that the solo flows better. Here you are 7 great Blues starting licks for your solos. Blues solo starting lick 1. This is a real classic to start a blues solo. We will use a bending up the G string, a couple of notes and a string slide at the end. Blues solo starting lick 2. A Stevie Ray Vaughan and Albert King favourite this one! It’s using the top part of the sliding A minor pentatonic pattern. Blues solo starting lick 3. This lick stays down in the first minor pentatonic scale pattern and uses this essential bend at the 7th fret. Blues solo starting lick 4. This one is very similar to the kind of thing Eric Clapton does in his solos. Using a little double stop. Blues solo starting lick 5. It’s a simple but effective way to start a blues solo using the top two strings from the first minor pentatonic scale shape. Blues solo starting lick 6. Jimi Hendrix style. The lick is using the first minor pentatonic scale pattern and makes use of repeating string bends. Blues solo starting lick 7.We’re using the sound of the A major pentatonic scale in the style of the great BB KIng. It is commonly mixed in with the minor pentatonic scale to get a sweet, bluesy sound. 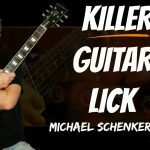 With these licks, you will be able to give your solos a cool start and sound more like a pro! When you come to improvise a blues solo it’s important to get a great start! You need ear catching blues starting licks which will get the audiences attention the moment you start playing! In this lesson I’ll show you 7 blues starting licks you can start your blues solos with which will make people sit up and take notice. 0:14 Hear me play a blues solo over a 12 bar blues in the key of A. 1:03 A good start to a blues solo will draw the listener in and make them want to hear the rest of what you’ve got to say. For this reason how you start your solo is pretty important if you want people to listen! Whilst it takes practice and experience to refine this skill a good starting point is to learn some of the blues starting licks which the great blues players use to start their solos. 1:24 Here you can briefly recap on two patterns for the A minor pentatonic scale – an essential scale for playing blues. Most of the blues starting licks you’re going to learn in this lesson use these scale shapes. 2:14 Blues solo starting lick 1. You’ll have heard this used by all the great blues guitarists – in fact it’s probably the most common way to start a blues solo ever, and that’s because it sounds great! It’s using the shape 1 A minor pentatonic scale to start with before sliding up into the extension or sliding scale shape we examined a moment ago. 3:20 Blues solo starting lick 2. A Stevie Ray Vaughan and Albert King favourite this one! It’s using the top part of the sliding A minor pentatonic pattern. Check out that bend on the 10th fret! This is one of the greatest sounding blues bends there is so make sure to slip it into your own solos as soon as possible! 4:45 Blues solo starting lick 3. This lick stays down in the first minor pentatonic scale pattern and uses this essential bend at the 7th fret. Remember to ‘kill’off’ the bends before you let them down. This is a super important tip for getting clean string bending technique. 6:05 Blues solo starting lick 4.This is the sort of lick you hear Eric Clapton play! It starts with a super cool sounding double stop (two notes played together) which comes from the sliding scale pattern. Take this and get it into your soloing trick bag! Then the lick moves down to the first scale shape and ends with a funky little bending move. 8:11 Blues solo starting lick 5. Another lick in the style of Albert King or Stevie Ray Vaughan. It’s a simple but effective way to start a blues solo using the top two strings from the first minor pentatonic scale shape we saw. Watch those blues curls – short, ‘micro’ bends that will really inject a blues sound into your solos. 9:35 Blues solo starting lick 6 is in the style of Jimi Hendrix when he played blues. The lick is using the first minor pentatonic scale pattern and makes use of repeating string bends. Pick the string, bend it up, hold it and then repick it twice. Also watch the vibrato on the final bend and try to get it really singing out. 11:24 Blues solo starting lick 7 is using the sound of the A major pentatonic scale in the style of the great BB KIng. Check out how to play the scale pattern. It is commonly mixed in with the minor pentatonic scale to get a sweet, bluesy sound. Check out the tasty one fret bend on the top E string! 14:11 Tips for using these blues starting licks to begin your solo. Remember to get a bold, confident start to your solo – grab the listeners attention and make them want to listen! Also use the starting lick as a basis for other parts of the solo. Explore it, change it, expand and develop it as you go to give your solo structure and continuity. 15:30 Experiment with these starting licks and learn how to use them in a way that works for your playing. They’ll also work at other points in the 12 bar blues chord sequence so experiment, experiment, experiment!